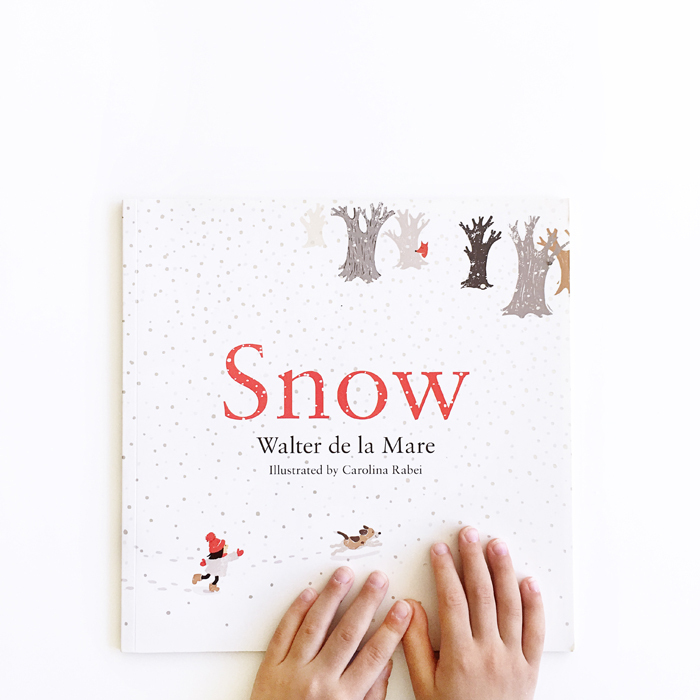 Carolina Rabei’s whitewashed snowy scenes serve as the perfect backdrop for Georgian poet Walter de la Mare’s poem Snow. Her warm palette of reds, beiges, grays and blacks bring a buoyancy, joy and lightheartedness that make you want to engage in the cheerful raillery portrayed on the pages of this magical book. Snow is from Walter de la Mare’s poetry collection Peacock Pie. This illustrated version is by Carolina Rabei and published by Faber & Faber.